Anand Refrigeration Co. Pvt. Ltd.
Sg Fabs Kitchen Equipment Pvt.ltd. For different air flow options, with radial and axial fans, The damper separates the coldroom from the insulated cooler, Efficient and quick defrosting with close damper thanks to the circulation mode inside the units. We offer the Chest type bottle cooler / Freezer from LL Equipment. A must in every servery to serve chilled beverage to guests command. Elegant design convenient storage space. Define your work load we have customized capacities to offer. Capacity: 500 kg to 10000 kg. Industrial Refrigeration Pvt. 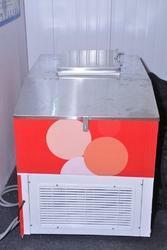 Ltd.(IRPL) offers Blast Freezer systems to the food industry. 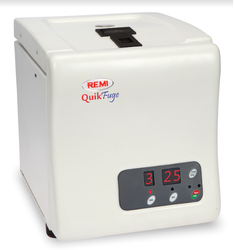 We are engaged in designing and offering a wide range of Open Freezers to the clients. Provided in open and glass type versions, these find usage in meat & poultry industry, egg processing industry, food processing industry and pharmaceutical industry. Due to their high and reliable performance, our range is highly demanded by the clients. MICRO ELECTRONICS made deep freezer is used for plasma storage and blood products under controlled temperature with upright design. Temperature control range from -20ºC to -86ºC adjustable. Temperature cooling down time with full load: upto 180 minutes to attain the set temperature form the ambient temperature. Comprehending the varied desires of our clients, we are instrumental in presenting a comprehensive range of Western Deep Freezer.